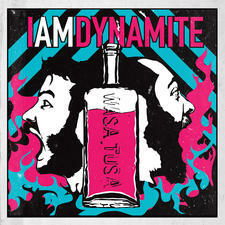 It would be reasonable to suspect a band who borrowed their name from the works of Friedrich Nietzsche might just be yet another pretentious act arriving on the scene but, when it comes to the rock and rhythm duo IAMDYNAMITE, it would be safer to assume the exact opposite. In truth, the choosing of the name might just be a perfect example of the band’s playful and self effacing sense of humor. At first listen it becomes clear, IAMDYNAMITE, with their thunderous beats and crunching power chords, are actually the anti-pretentious and with American cynicism at an all time high, the timing of their arrival could not be more perfect. IAMDYNAMITE are Christopher Martin (Guitar, Vox) and Chris Phillips (Drums/Vox). They honed their sound and vision while coming up in the rock scene of Detroit, MI and with countless college shows throughout the midwest. In the Fall of 2011 the band set out on their first coast to coast tour. Armed with a single guitar and basic drum kit, IAMDYNAMITE have quickly established themselves as a rock and roll force to be reckoned with. The musicianship is solid, the tunes are irresistible and infectious and their energy on stage has been appropriately described as "feverishly fun". 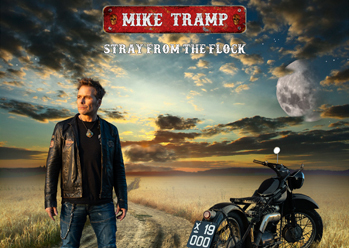 The band's distinctive sound is influenced, in part, by what Drummer Chris Phillips calls "the power rock of the 90s", while Guitarist/ Lead Vocalist Christopher Martin points to "strong melodies and lots of energy" as a primary focus for the songwriting. Though some may assume a band made up of only two instruments might be rather limited, the big explosion of sound they bring to the stage has inspired more than a few critics to observe, "IAMDYNAMITE are two guys who sound like five". In 2008 IAMDYNAMITE caught the ears of Brando Records and the uber talented Matt Noveskey, bass player for Blue October, which eventually led to Noveskey producing the band's first EP and subsequently their debut full length album SUPERMEGAFANTASTIC, released in September of 2011. Noveskey's objective in producing the album was simple, he explains "We didn't want to do something they wouldn't be able to pull off live and we didn't want to do something that didn't sound like them, the live show is so energetic and we really wanted the album to be a true representation of that, which is why we recorded on analog tape with very minimal layering." As for the band's unique sound Noveskey believes the vocals are key, "The harmonies are sort of the nucleus of the whole thing really, sure you've got the bombastic drums and the big 70s guitar but the harmonies are really what this band is all about, there's almost a shade of The Beatles or Beach Boys to it." SUPERMEGAFANTASTIC was recorded at Willie Nelson's famous Pedernales Recording Studio in Spicewood, TX, approximately 30 miles outside of Austin. For both the producer and band, Nelson's studio proved to be the perfect creative environment for the task at hand, Noveskey offers, "It was really great, it's detached from everything, out in the middle of nowhere and it's got this really cool vibe that allowed us the opportunity to get lost in our own little world. We really wanted to do it old school, two weeks straight with minimal distractions." 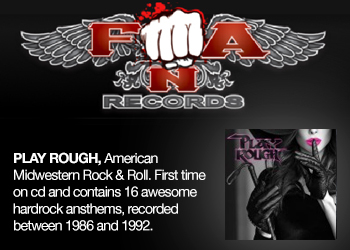 SUPERMEGAFANTASTIC includes the irresistible "Stereo", the dirty blues infused shredder "Ms. Jones", the infectious crowd pleasing "Hi Lo" and the urgent rocker "Where Will We Go", a tune that drives so hard it should come with the disclaimer, Warning: Song may inspire speeds exceeding 100 miles per hour. The transition from small rock clubs to the larger concert venues is an exciting new adventure for the rapidly up and coming band, as Chris Phillips explains, "It's cool to have everyone's attention and not be competing as much with televisions and chatter, the audience interaction is a lot more fun and our sense of humor seems to come across more in this type of setting. We've been giving a lot of what we call our "sweaty hugs" to lot's of new friends we've been meeting on this tour." 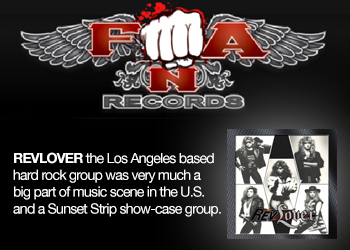 The buzz IAMDYNAMITE have been generating on the road in 2011 is more than evident online. Nearly every day, the band's Facebook and Twitter accounts grow substantially with “likes” and raves from new fans who saw the dynamite duo the night before and the iTunes downloads of their new album, SUPERMEGAFANTASTIC, are also increasing dramatically as a result. IAMDYNAMITE's frontman Christopher Martin puts it into perspective, "It's really been great, we're playing so many cities we've never played before and the response has been amazing. We've always been a "word of mouth" band and that's still the case, just on a much bigger scale. We're not overhyped by a big label push, we're just laying some great groundwork on the road, which seems like a really natural way to do it, people are talking and that's really awesome, it's always cooler when you first hear about a new band from a friend." Add it all up and there can be no doubt, the fuse has been lit and IAMDYNAMITE are ready to explode! 2013-11-01 - Happy Halloween From IAMDYNAMITE! 2012-08-24 - IAMDYNAMITE: How'd They Do That?